On Tuesday we announced our investment in Cryptokitties, and, as you might expect, received a combination of enthusiasm and skepticism in response. Bitcoin and cryptocurrencies already sound ridiculous to most people, and virtual “real” kittens made out of cryptocurrency take it a step further. But, as with many new technologies, these first use cases just scratch the surface of a broader potential. There are lots of things to be excited about here, but for now I’ll just focus on one of them: interoperability. Cryptokitties are a specific type of cryptoasset, known as a “non-fungible token” (in this case, based on the ERC-721 standard). Non-fungible means that each one is unique. So, when a kitty is “born”, it is a one-of-a-kind digital asset, as opposed to other types of currencies or tokens that are completely interchangeable. So, they are different than other tokens in that way, but are similar in that each NFT is “scarce” or “real” in that is secured by the blockchain – in this case the Ethereum blockchain. So, what we have are unique, scarce, public digital assets. The public part is particularly interesting. Because each kitty is a token on Ethereum, that means that anyone else (aside from the original developers of Cryptokitties) can view that asset and integrate it into other systems, without anyone’s permission. You own the cat. But the cat owns the hat. So neat! So what we have the beginnings of is a world where digital assets that are created in one place can be freely integrated into other places. The (original) internet brought us a world where any site could link to any other site, and they could all be accessed from anywhere in the world. This was the first interoperability revolution. The next one will be with data and digital assets. For a long time, data has been the property of platforms — with cryptonetworks and cryptoassets, data can live outside of anyone platform, under the control of users. This has the potential to open up a lot of innovation. This is one of the reasons why I am so much more excited about nft than cryptocurrencies! This was the first interoperability revolution. The next one will be with data and digital assets. those are great – nice work! Thank you! We love that kitties can collect art, just like zombies can eat kitties. It’s the wonderful world of blockchain. is there a hint of out of touch digital decadence here? rich people buying unique kitty assets at top dollar while the masses scratch around to make ends meet. this could become an ugly spectacle. let them eat cats? NFT = unit of absolute friction. the immovable object. i await the arrival of the irresistible force, the kittykiller. it is interesting. a new paradigm of value fixing. i look forward to something of more tangible benefit to a wider group, the ‘normal’ people. Crypto kitties is the 3.0 version of FarmVille on Facebook. Same principles of interoperability too. Very cool! Do you see any potential linkage between these virtual assets and physical ones? 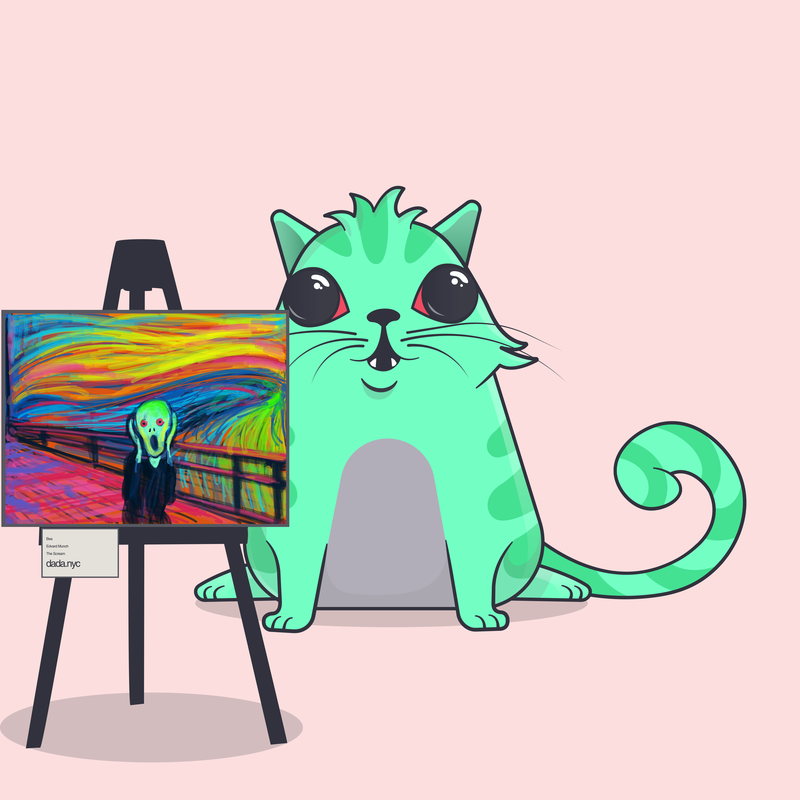 For example, would people want to buy a doll based on their crypto kitty? Would they want a virtual version of their real world things? Or do you think the virtual space is where the opportunities are? i suspect there are already real world versions of cryptokitties somewhere…. Nick, could you do me a favour, ask Albert to check his blog settings. The comments function doesn’t appear to be working. Thanks. Love seeing this – I think Cryptokitties are legal tech. We did forensic analysis of the code at our legal hackers event last week and introduced lawyers to Cryptozombies for learning solidity. Yes, we can do much, much more with this standard. Giggity. Good One…!!! Expecting more of Kitty Use Cases.